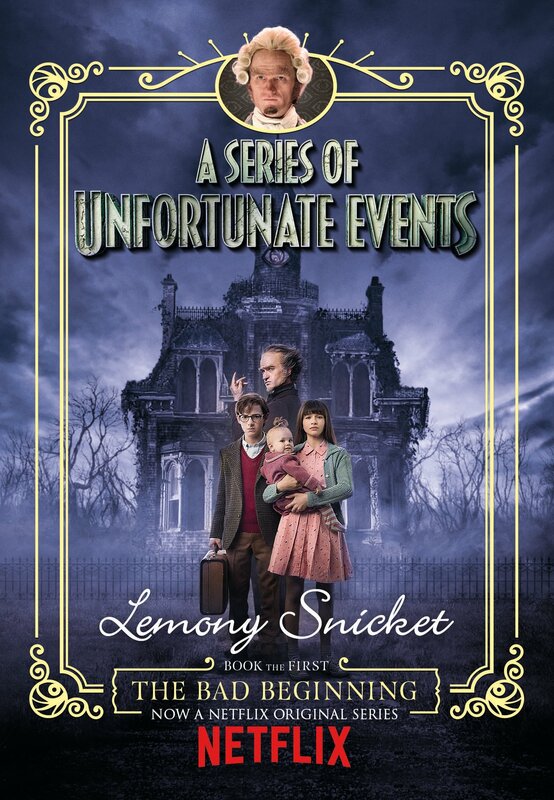 Dear reader, There is nothing to be found in Lemony Snicket's `A Series of Unfortunate Events' but misery and despair. You still have time to choose another international best-selling series to read. But if you insist on discovering the unpleasant adventures of the Baudelaire orphans, then proceed with caution... Violet, Klaus, and Sunny Baudelaire are intelligent children. They are charming, and resourceful, and have pleasant facial features. Unfortunately, they are exceptionally unlucky. In The Bad Beginning, the siblings encounter a greedy and repulsive villain, itchy clothing, a disastrous fire, a plot to steal their fortune and cold porridge for breakfast. In the tradition of great storytellers, from Dickens to Dahl, comes an exquisitely dark comedy that is both literary and irreverent, hilarious and deftly crafted. Despite their wretched contents, `A Series of Unfortunate Events' has sold 60 million copies worldwide and been made into a Hollywood film starring Jim Carrey. And in the future things are poised to get much worse, thanks to the forthcoming Netflix series starring Neil Patrick Harris. You have been warned. Are you unlucky enough to own all 13 adventures? The Bad Beginning The Reptile Room The Wide Window The Miserable Mill The Austere Academy The Ersatz Elevator The Vile Village The Hostile Hospital The Carnivorous Carnival The Slippery Slope The Grim Grotto The Penultimate Peril The End And what about All the Wrong Questions? In this four-book series a 13-year-old Lemony chronicles his dangerous and puzzling apprenticeship in a mysterious organisation that nobody knows anything about: `Who Could That Be at This Hour?' `When Did you Last See Her?' `Shouldn't You Be in School?' `Why is This Night Different from All Other Nights?' Lemony Snicket was born before you were and is likely to die before you as well. He was born in a small town where the inhabitants were suspicious and prone to riot. He grew up near the sea and currently lives beneath it. Until recently, he was living somewhere else. Brett Helquist was born in Ganado, Arizona, grew up in Orem, Utah, and now lives in New York City. He earned a bachelor's degree in fine arts from Brigham Young University and has been illustrating ever since. His art has appeared in many publications, including Cricket magazine and The New York Times.